We are having a benefit show for my dog, Rooster, who was born with lots of health problems. 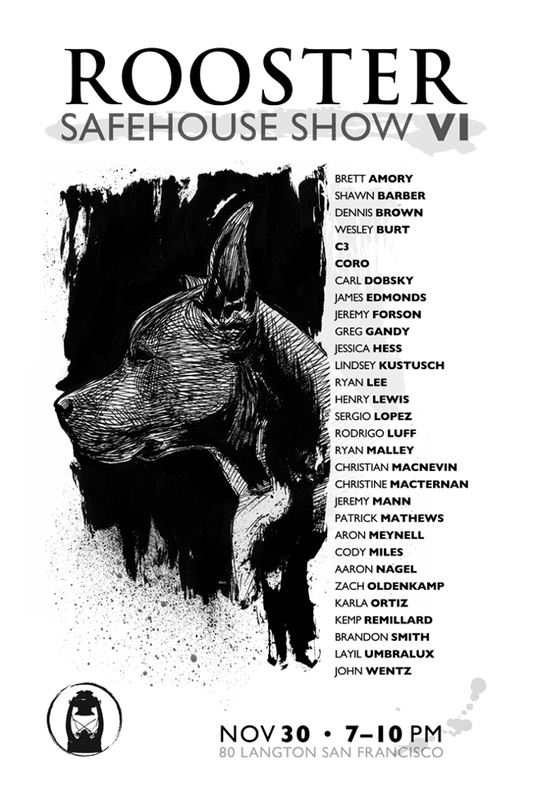 An amazing line up of artists are participating, with a portion of the proceeds going toward his future medical bills. It’s auction style like previous shows, so there is a good chance to walk away with some amazing art at a bargain. We have some merch that will be for sale including an exclusive Rooster t-shirt. Thanks to all the artists participating! Free booze and good times as always. Hope to see you there!